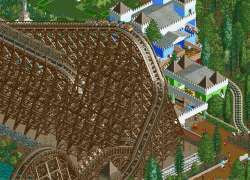 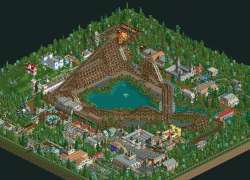 Since my recent projects have all been built using OpenRCT2 and use various cheats that don't allow them to be opened in standard RCT2, here's a "retro" coaster I built last December without any cheats. 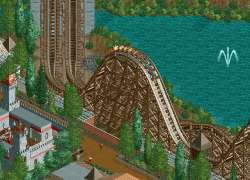 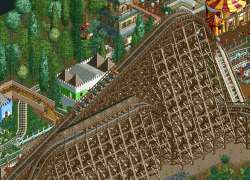 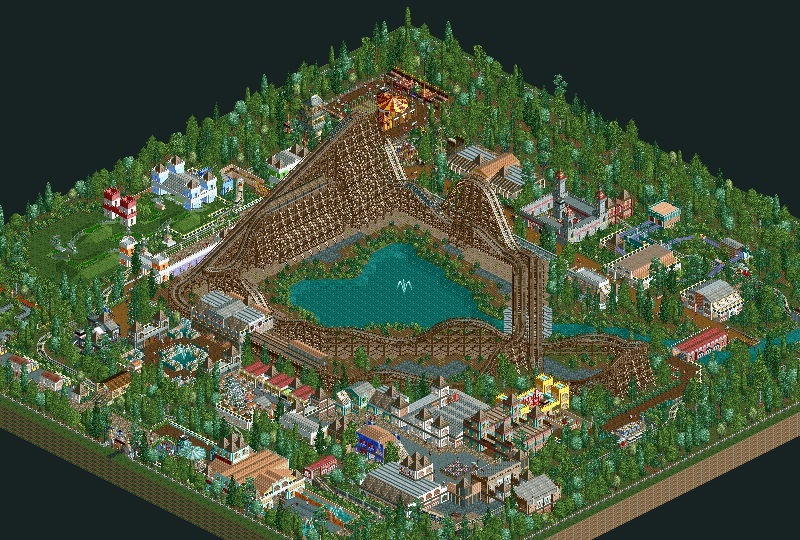 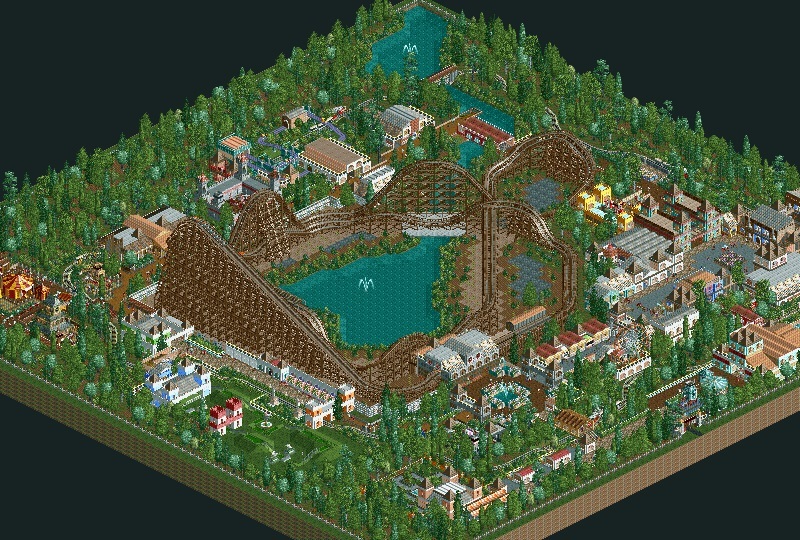 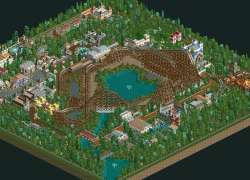 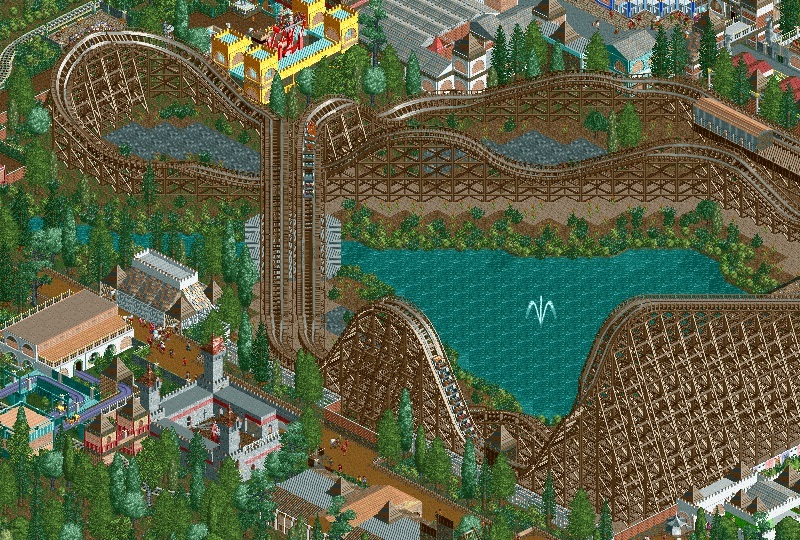 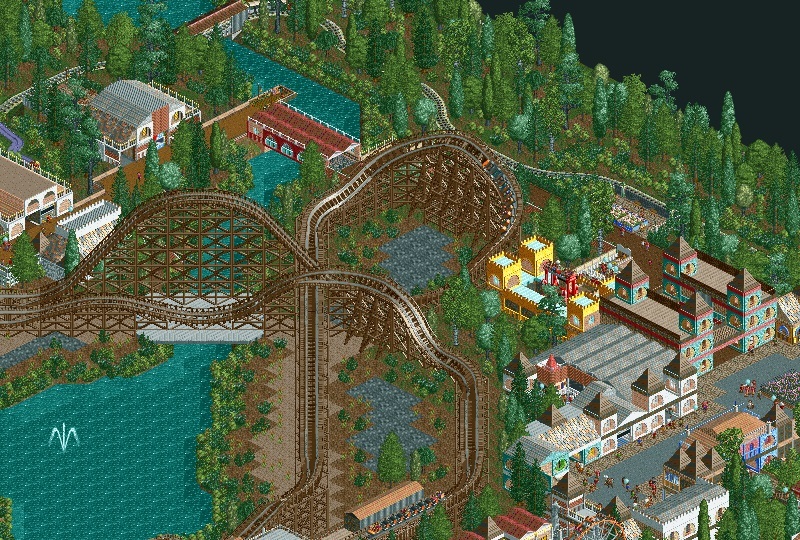 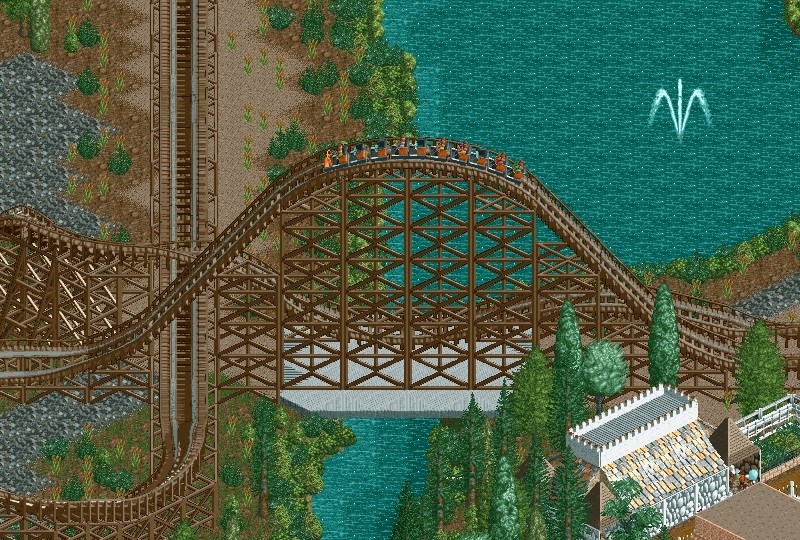 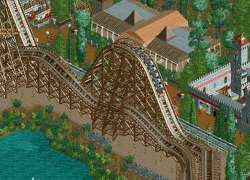 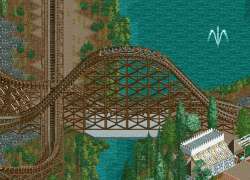 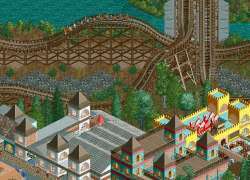 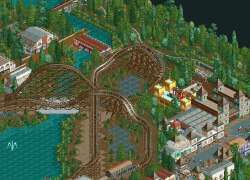 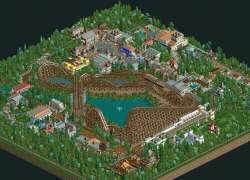 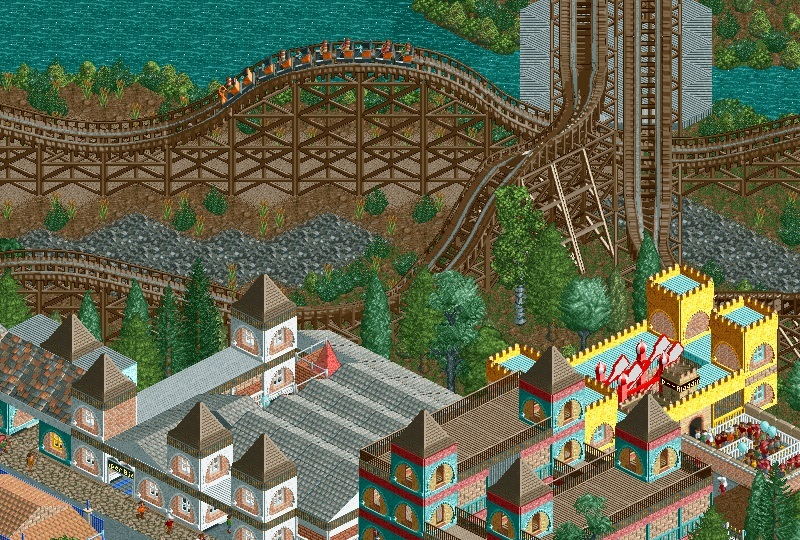 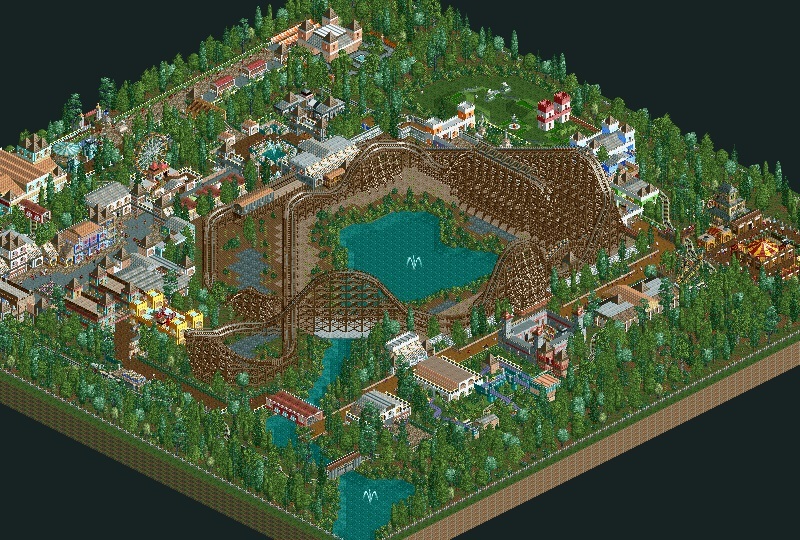 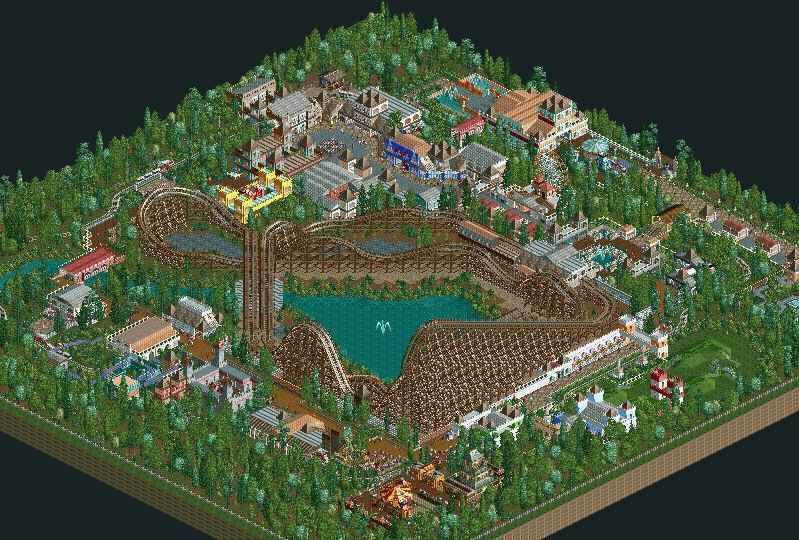 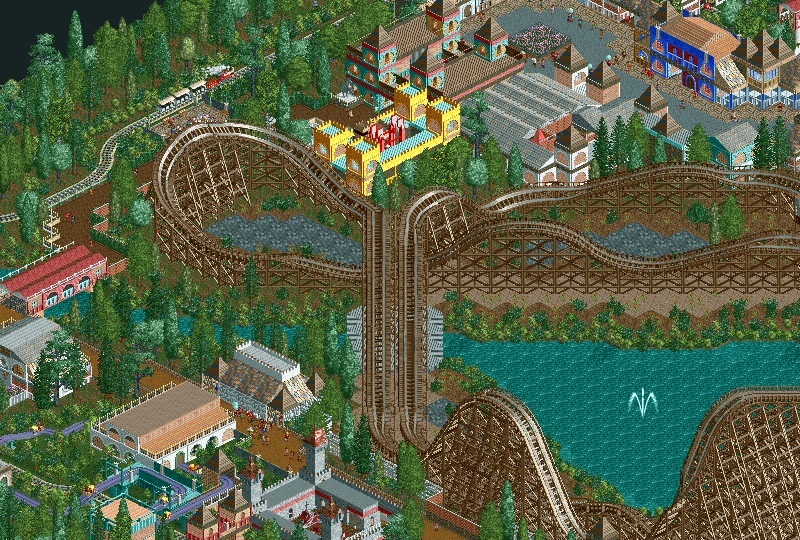 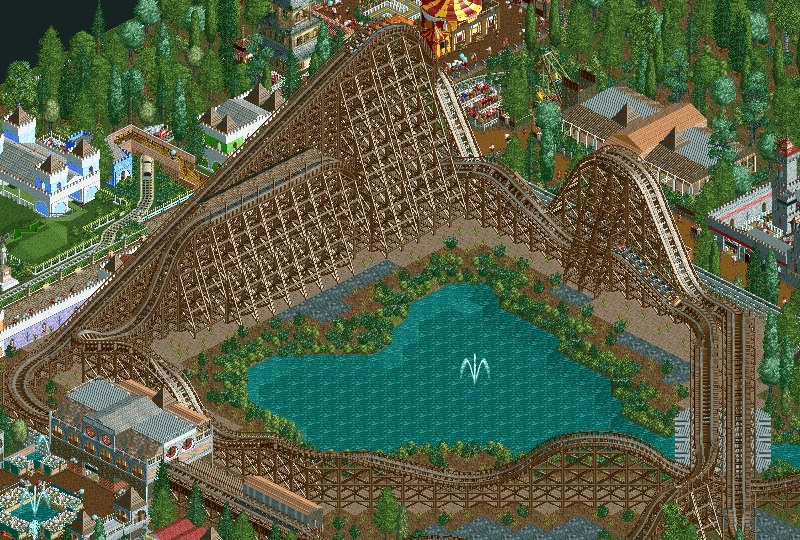 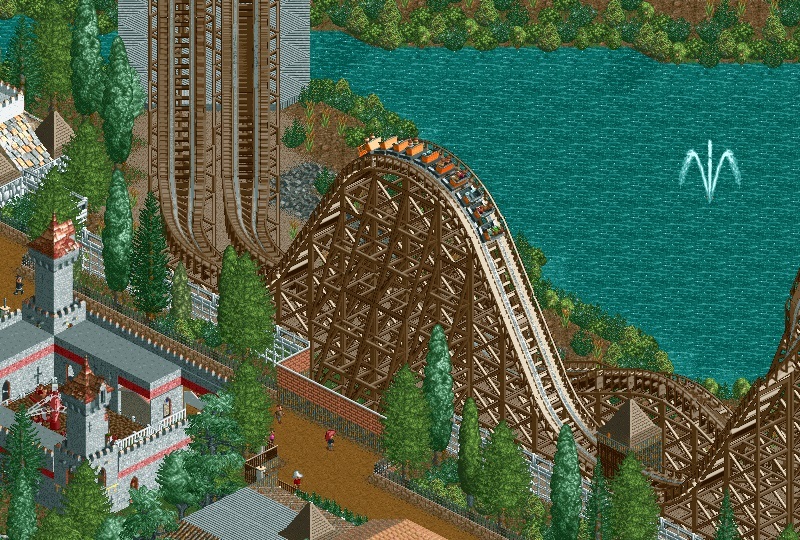 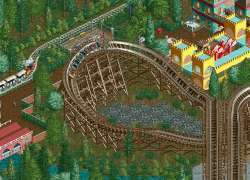 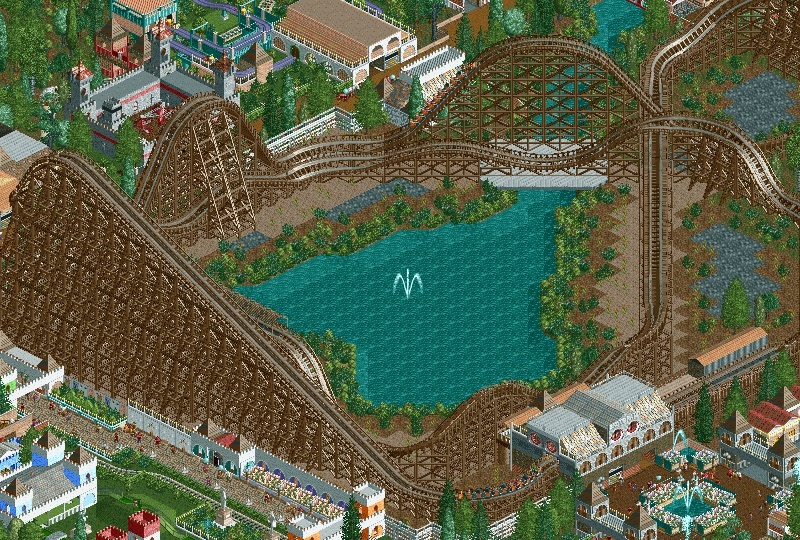 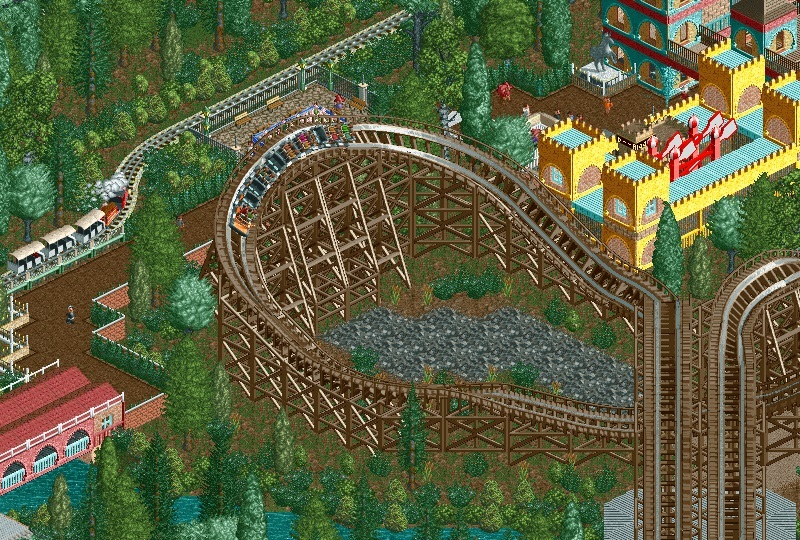 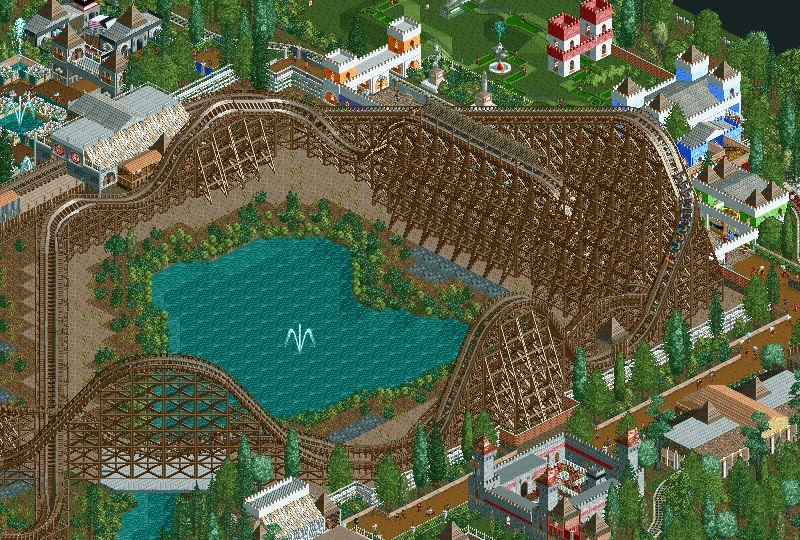 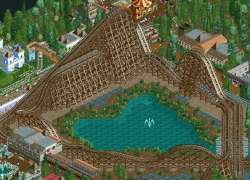 It's one of the last coasters I built before switching to OpenRCT2. 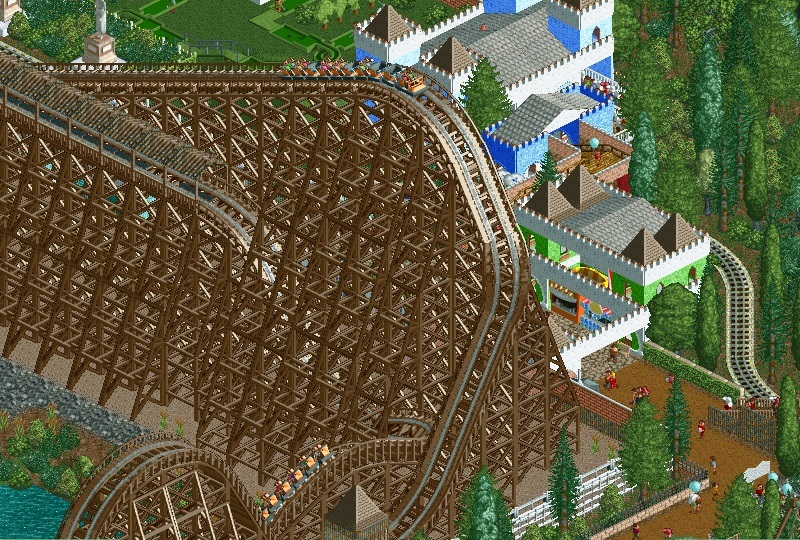 This thundering woodie is the centerpiece of a small, quaint park in Denmark, with "Skovbrand" literally translating to "wildfire". 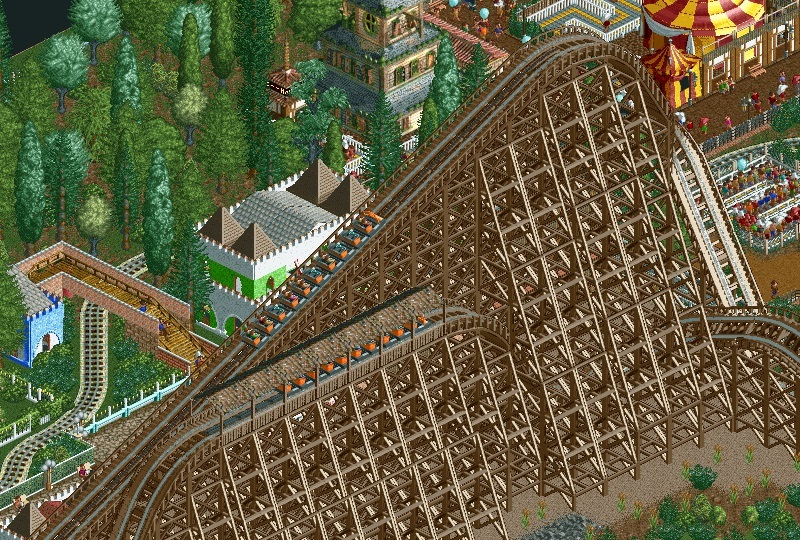 Though it takes up a small area, it doesn't shy away from large, swooping drops and gut-wrenching airtime hills. 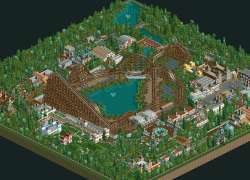 This contains no cheats, and runs in any form of RCT2 and RCTC. 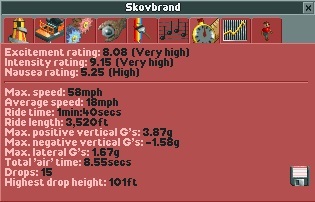 See final screenshot for ratings.